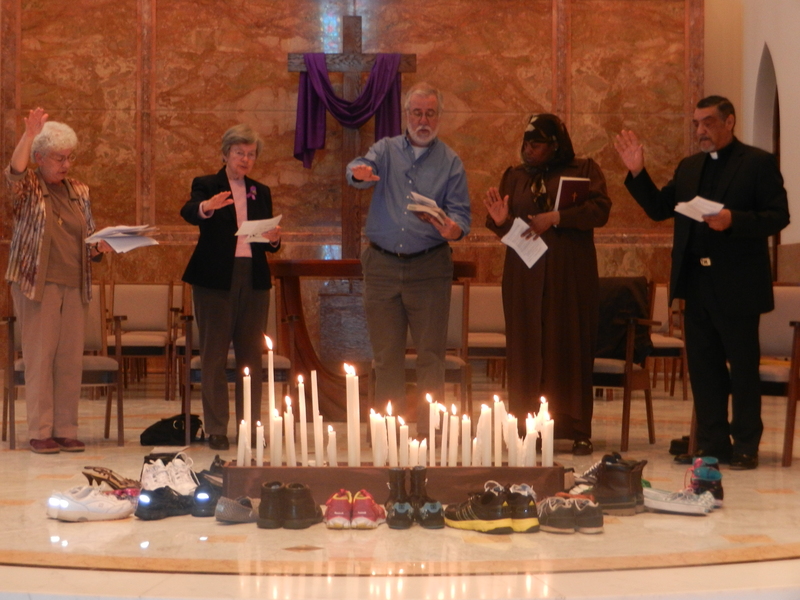 Neumann University students participate in the Mini Sabbath at Our lady of Angels Chapel in Aston, while memorializing 32 men, women and children who were victims of gun violence in Delaware County. 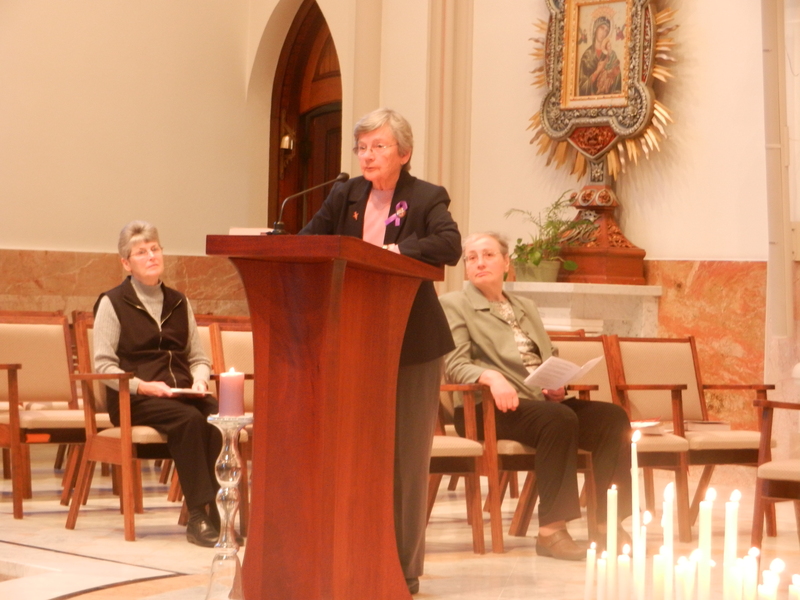 Maria Orlandini, OSF, Activities Coordinator at Anna’s Place, a Franciscan Hospitality Center in Chester, lights candles while Sr. Jean Rupertus, OSF reads the names of each victim of violence. 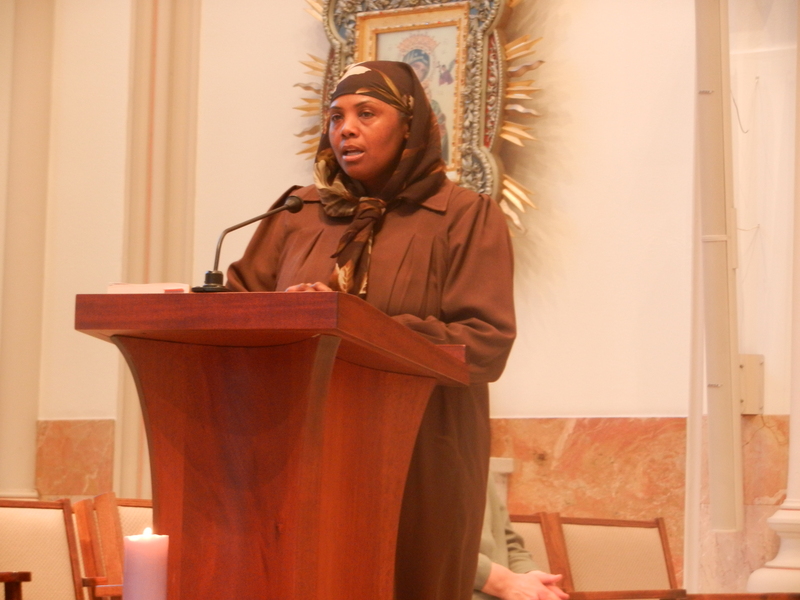 Marie Lucey, OSF , Director of Advocacy and Member Relations for Franciscan Action Network (FAN) offers a reflection on “the last supper discourse, John 14:27” calling us to ACT to Disarm ourselves of weapons and work for peace. Bryan Miller, Executive Director, Heeding God’s Call , informed participants of the mission of the faith-based movement to prevent gun violence. He called us to ACTION to end violence, trauma and despair. Movita Johnson-Harrell, Chair of the Charles Foundation and Board Member of Heeding God’s Call shared her pain of missing her son, Charles, who was a victim of gun violence. She has turned her anger into a commitment to end gun violence in our cities and transform them into cities of peace. Rev. David Townsend, member of Anna’s Place Center, memorialized his son, Anthony who was a victim of gun violence. the memorial for victims of gun violence. 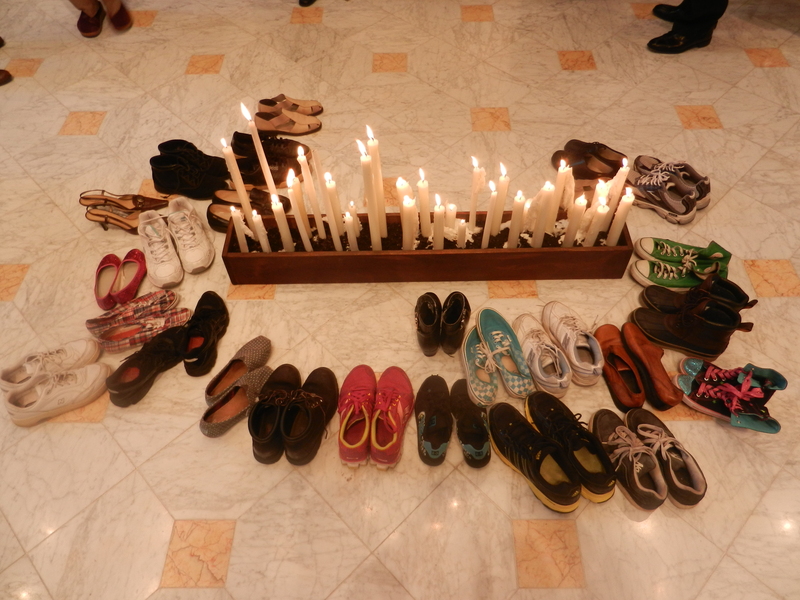 LET US REMEMBER THE MEN, WOMEN AND CHILDREN, who are our families, friends AND neighbors, VICTIMS OF GUN VIOLENCE WHOSE SHOES WILL NEVER BE FILLED.